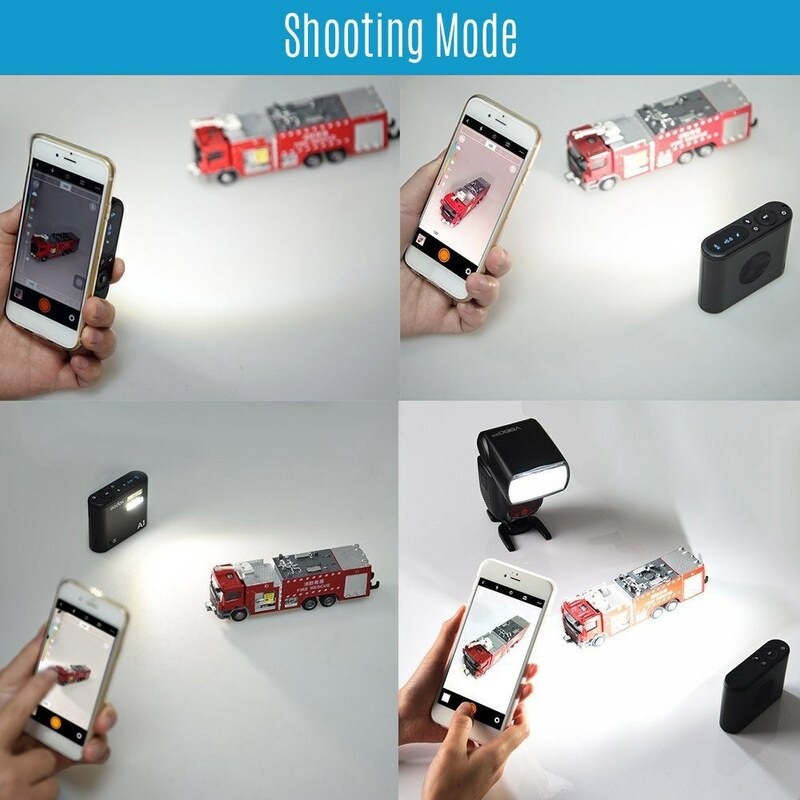 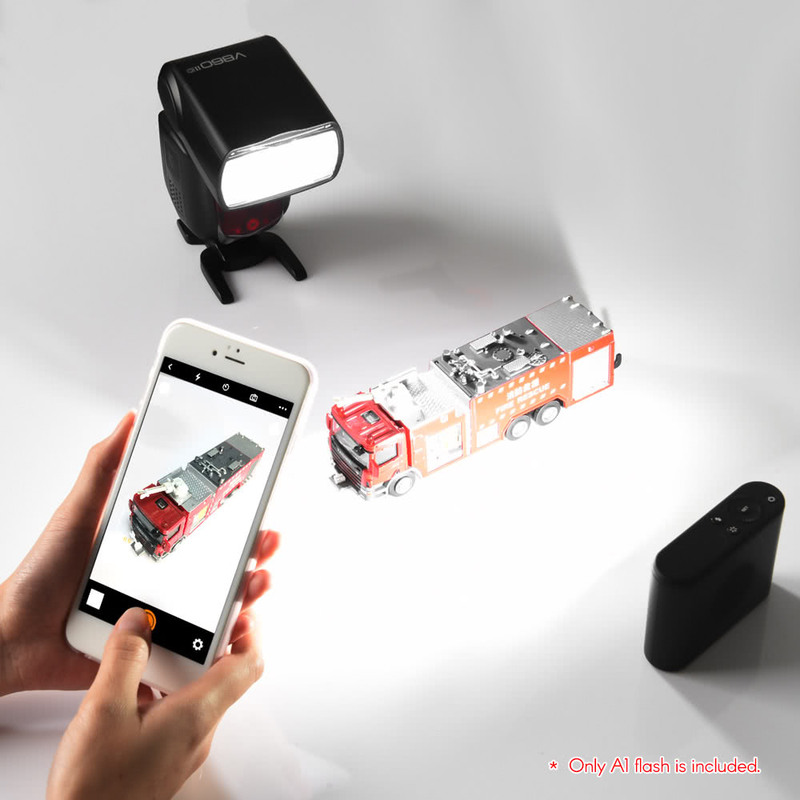 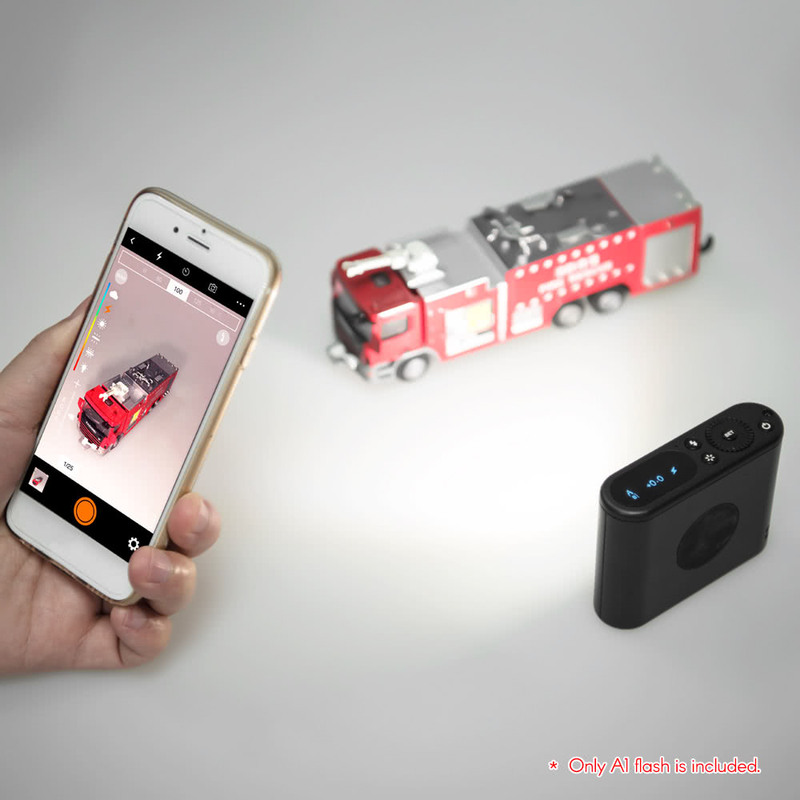 Operation with Phone APP: With built-in BT4.0 Module and 50 meters' transmission distance which enables A1 to connect the mobile phone through BT, thus setting flashes or LED video lights' parameters on the APP interface. 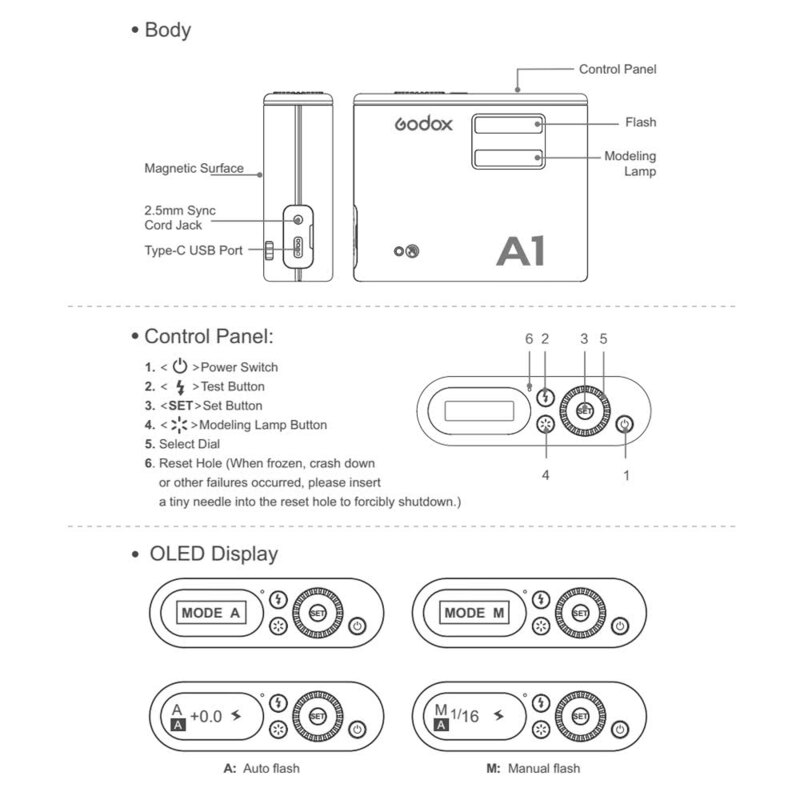 OLED Panel: With clear and convenient operation. 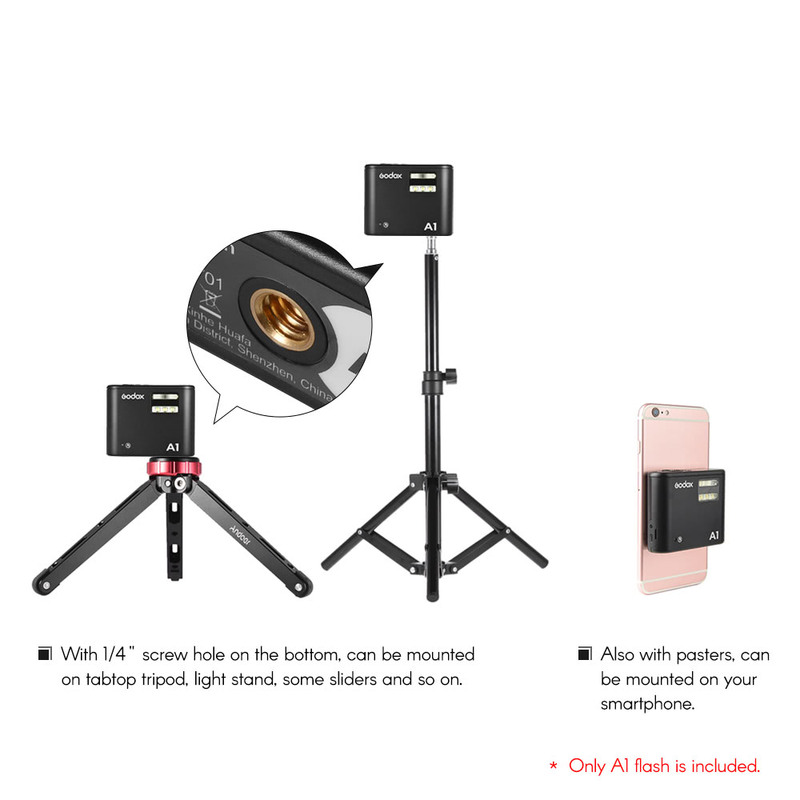 Built-in 2.4G Wireless Transmission: With all-in-one functions and 80 meters further transmission. 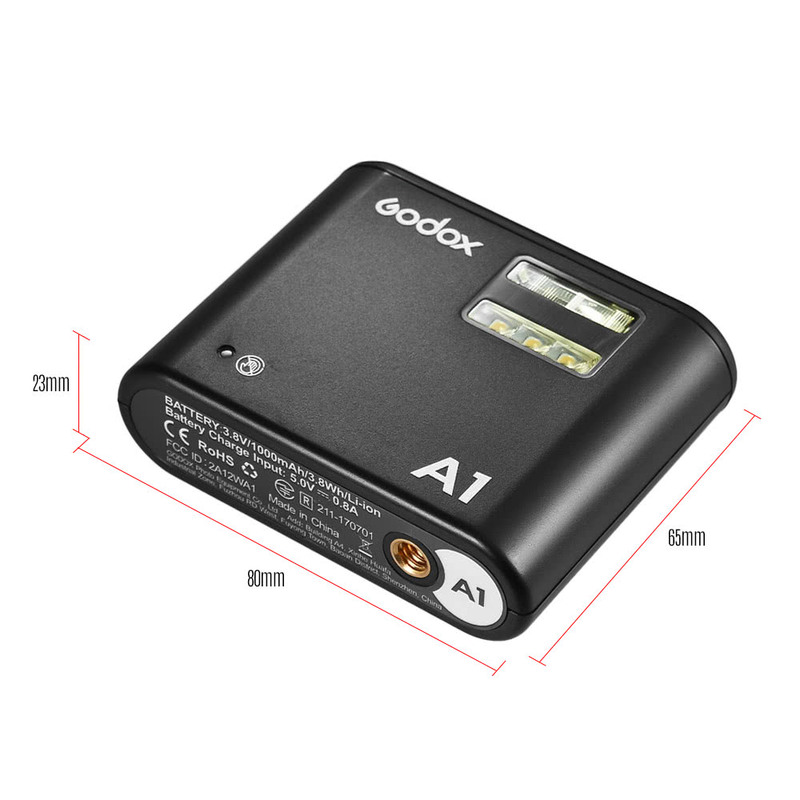 Built-in 433MHz Wireless Transmission: With abundant functions and 20 meters further transmission. 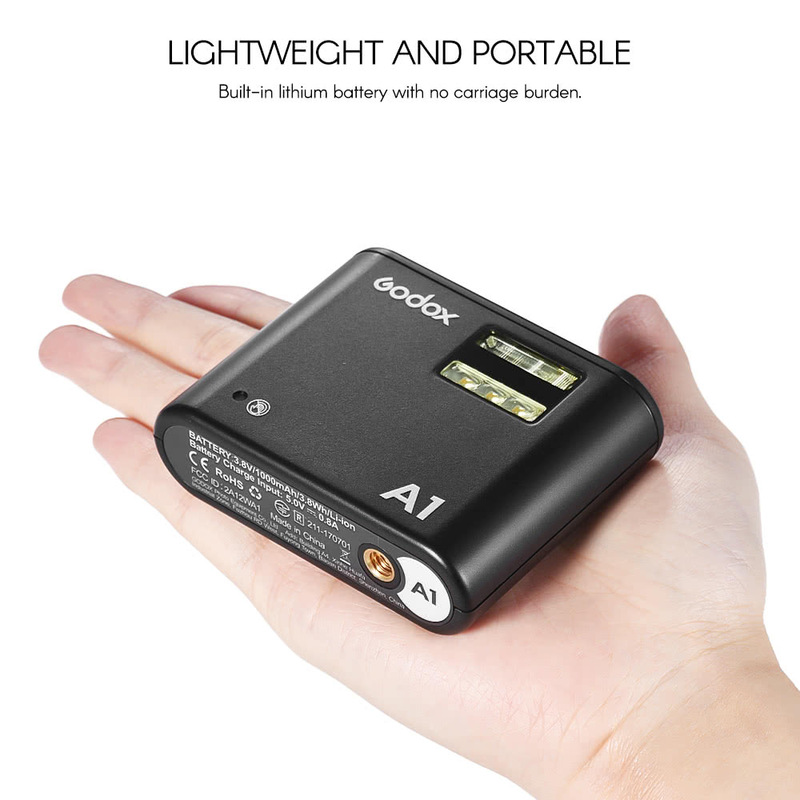 Lightweight and Portable: Built-in lithium battery with no carriage burden. 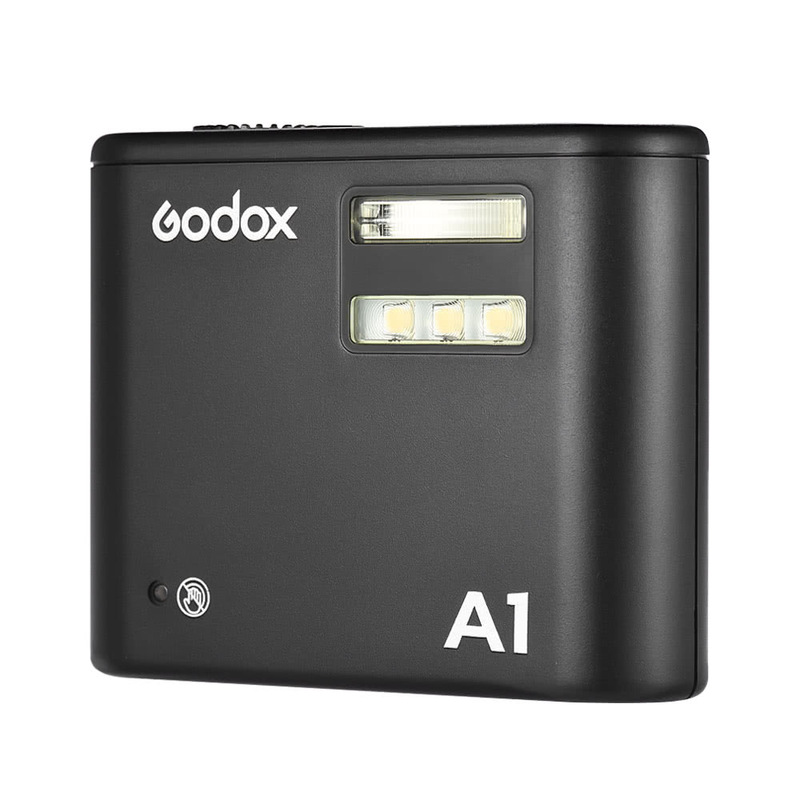 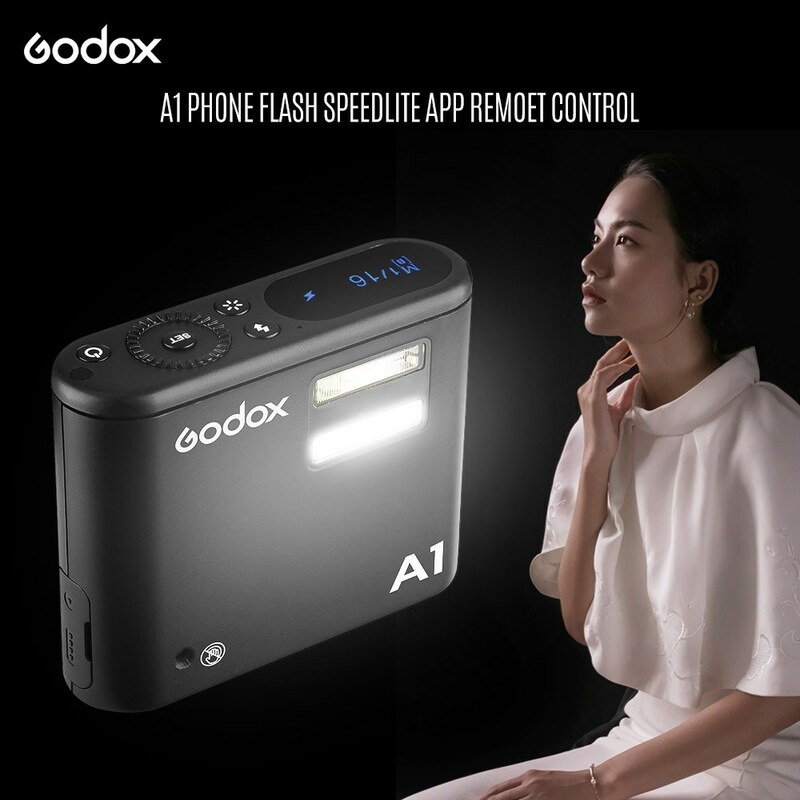 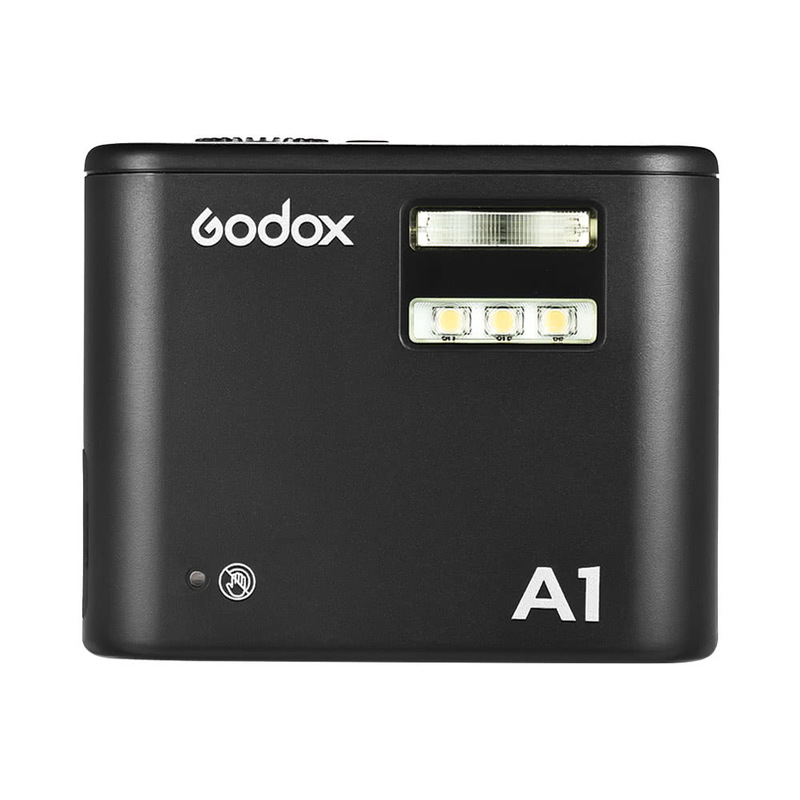 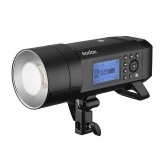 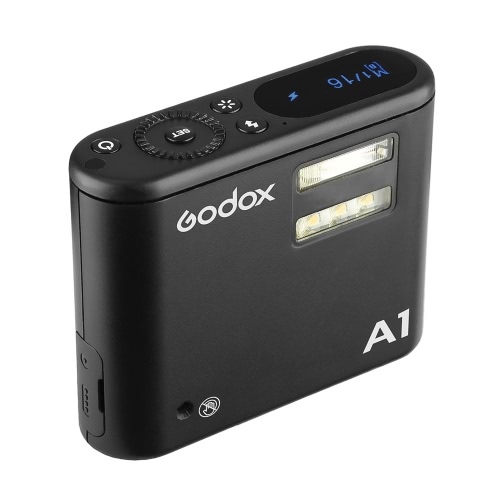 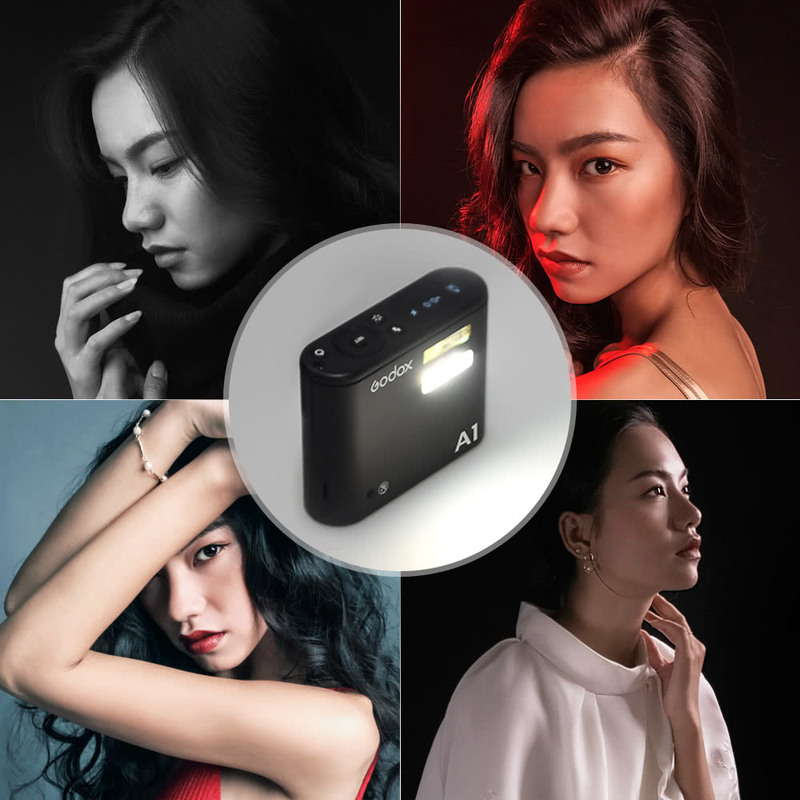 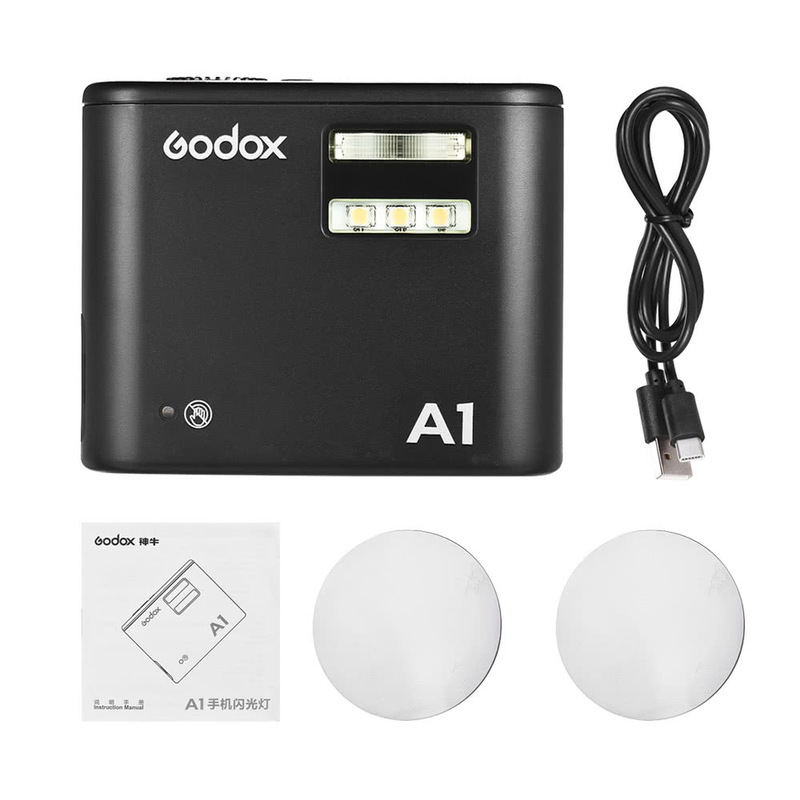 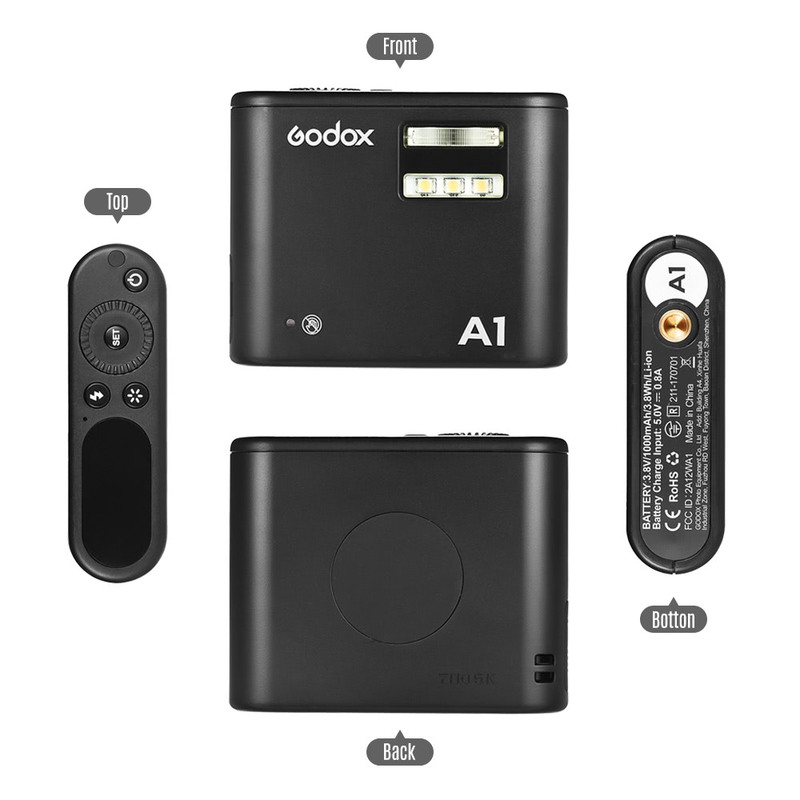 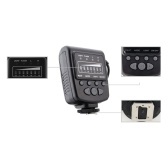 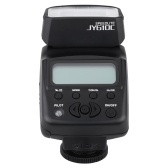 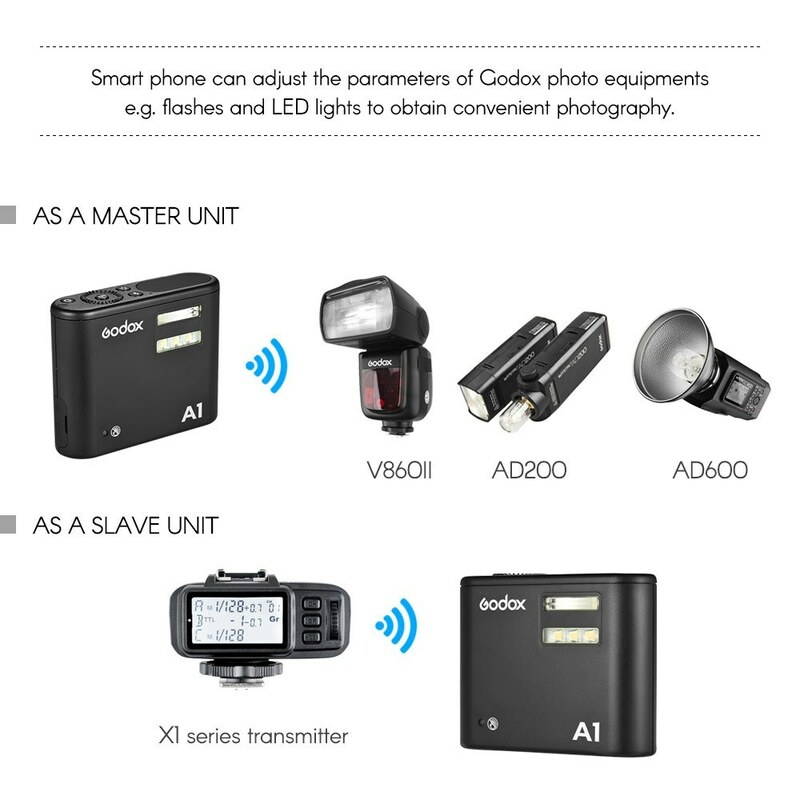 Wireless Control: With built-in Godox 2.4G wireless X system, A1 flash can serve as a transmitter to control other flashes, as well as wirelessly adjusting flash power level and trigger the flash through X1 flash trigger. 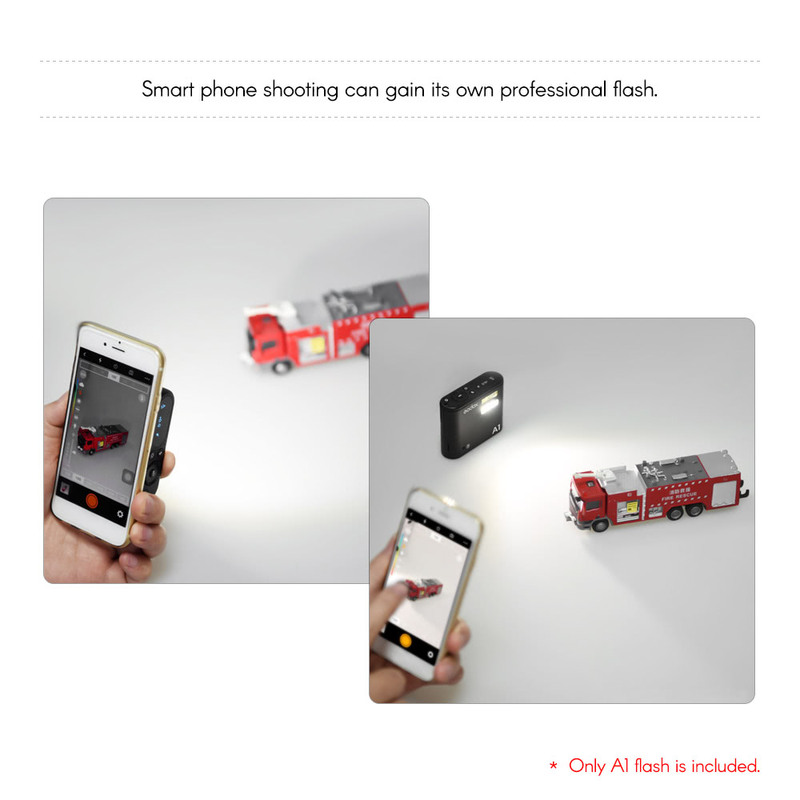 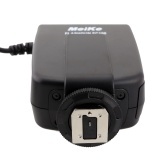 A1 flash also has 2.5mm sync cord jack achieve various sync triggering mode. 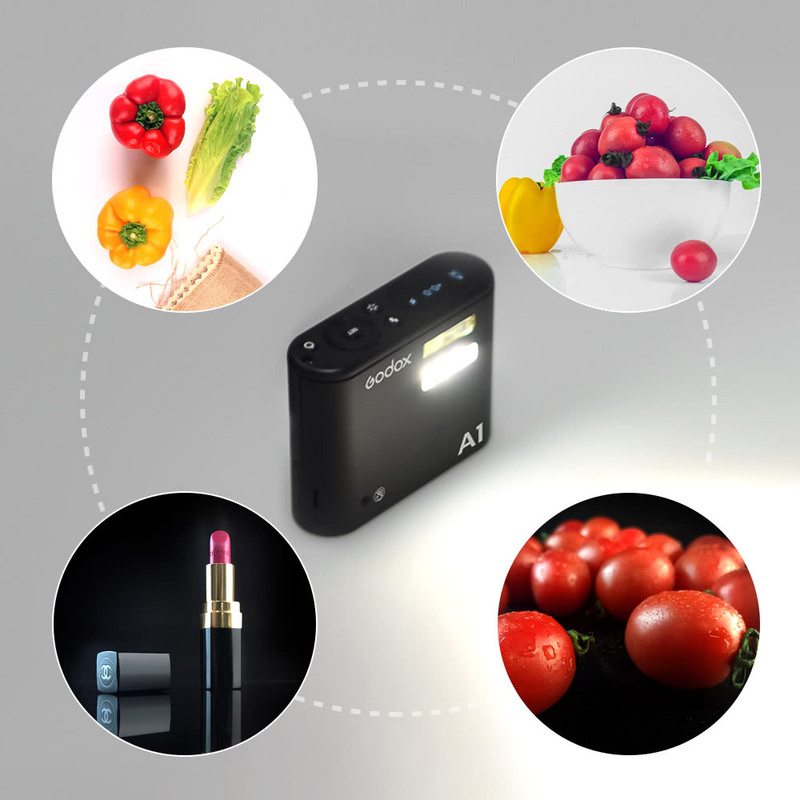 5 steps of power output adjusts from 1/1 to 1/16. 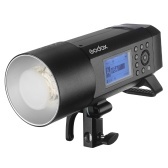 Stable color temperature at 6000K±200K over the entire power range. 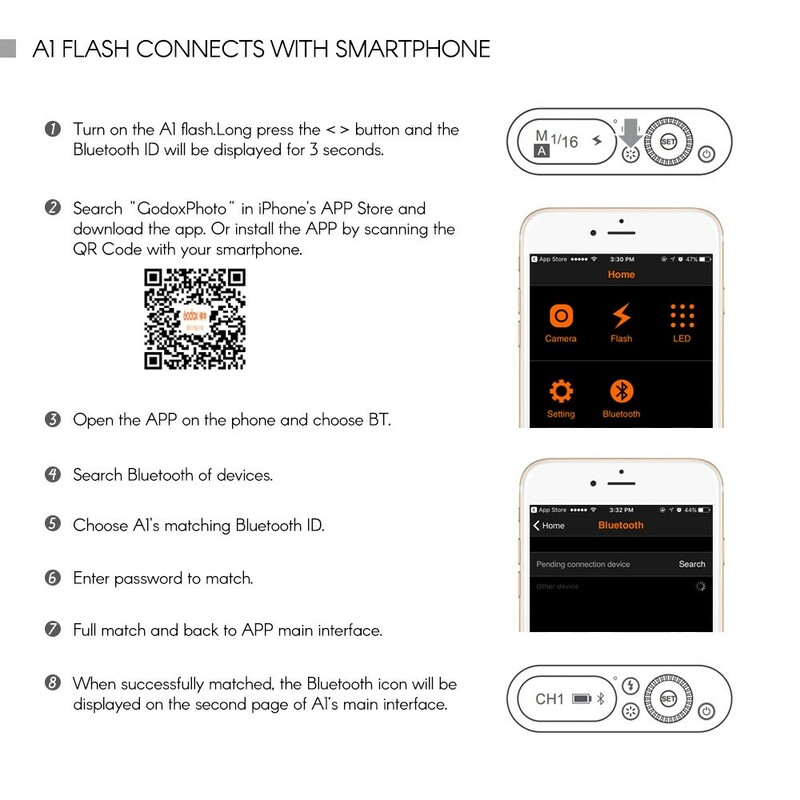 A1 flash is compatible for iOS system smartphone ( iPhone 8/8 plus/7/7 plus/6s/6s plus has been tested) at present, not for Andriod phone.